Dental onlays and inlays help to preserve the natural beauty and integrity of a tooth. 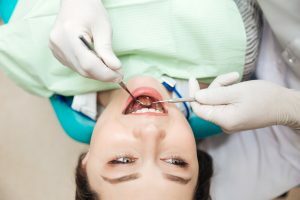 The procedure is a step up from a regular filling and a step down from a larger crown that covers the entire surface of the tooth. Because of this, many of our patients find that inlays and onlays are the right option for their dental needs. What is a Dental Onlay and Inlay? A dental onlay is a larger area of material that can cover the entire top of a tooth that has extensive damage. The inlay is laid into the cusps of the tooth and can help to get rid of pitting and cracks found in this area. Inlays and onlays are done right in the office, allowing you to go home the same day the procedure is done. Inlays and onlays are manufactured from porcelain or composite resign material, that provides durability and it blends naturally into your existing teeth. They repair the chewing surface of your tooth and can last two to three times longer than a traditional tooth-colored filling. Patients who have broken, or severely decayed teeth where it does not affect the cusp of the t tooth. Patients whose biting surface damage is extensive enough to require a large dental filling that may weaken the structure of the tooth. Patients who does not have enough tooth material to support a mounting crown. If you want to inquire about an onlay or inlay, contact us today and one of our helpful staff members will be happy to assist you!